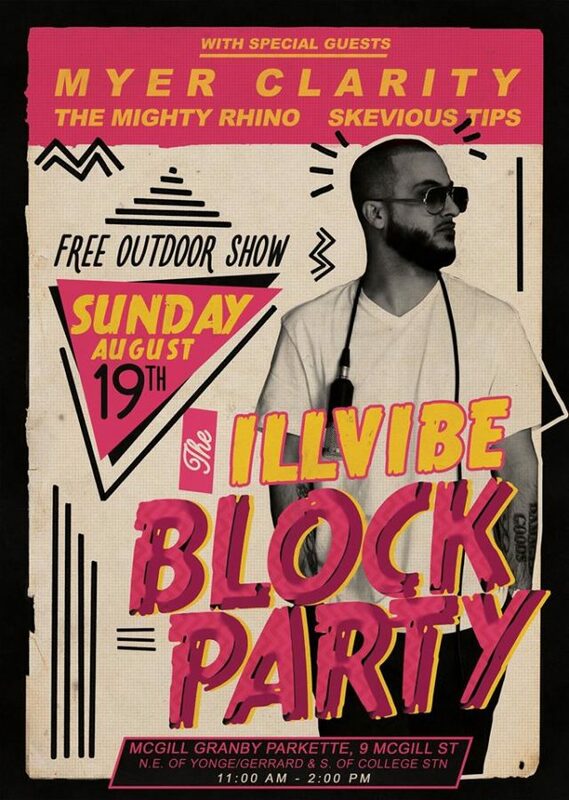 The Mighty Rhino is just one of many dope acts providing free rap on August 19… And Illvibe is busy touring the world but he’s giving his hometown a free taste… This is going to be a good one! LOCATION : McGill Granby Parkette is at 9 McGill St. just North East of Yonge & Gerrard. Look for the park running parallel to Yonge St.
SUNSHINE, GOOD VIBES, LIVE MUSIC!